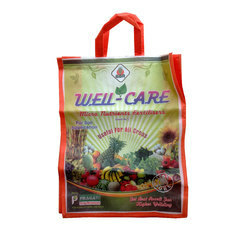 Fertilizer bags are somehow different from the other kinds of bags in our daily life. The Fertilizer Bag are washable and attractive. These kinds of bags are slightly expensive but by purchase you will be the winner. All our bags are widely praised by the customers due to having features like excellent tear resistance strength, splendid finishing and ability to load heavy weight. Moreover, we offer these bags to the customers in a plethora of colours, designs, patterns, prints and sizes as per their demands.